2. A new appreciation for my body and what it can do. I’ve always been very critical of myself, and a lot of that had to do with how I felt about my physical appearance. 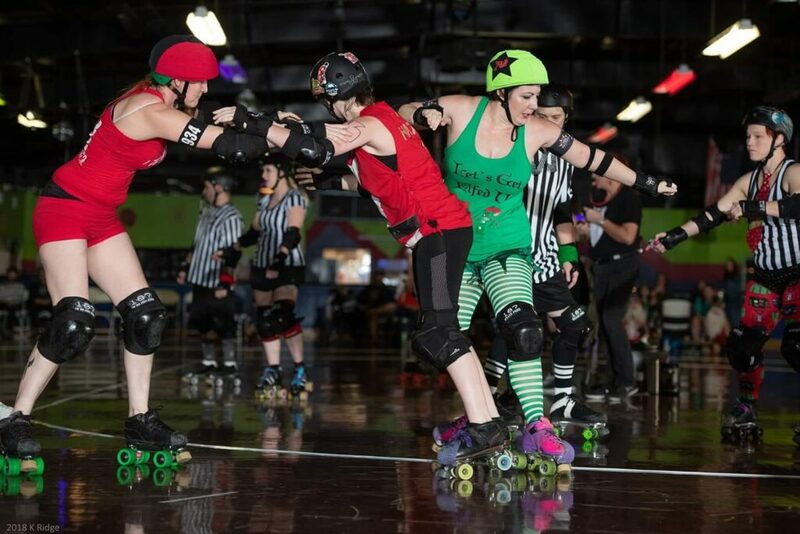 One great side effect of playing roller derby was learning to appreciate my body for what it was capable of. Learning this new skill set and seeing myself progress as an athlete made me grateful for my strong legs instead of wanting to avoid showing them off in shorts. It made me proud of myself for building the endurance I needed to finally hit 27 laps in 5 minutes. Instead of scrutinizing myself, I found more reasons to be happy with what I saw in the mirror. Praise the derby gods! 3. More self confidence. Along with my newfound love of my thick thighs (they save lives, y’all! 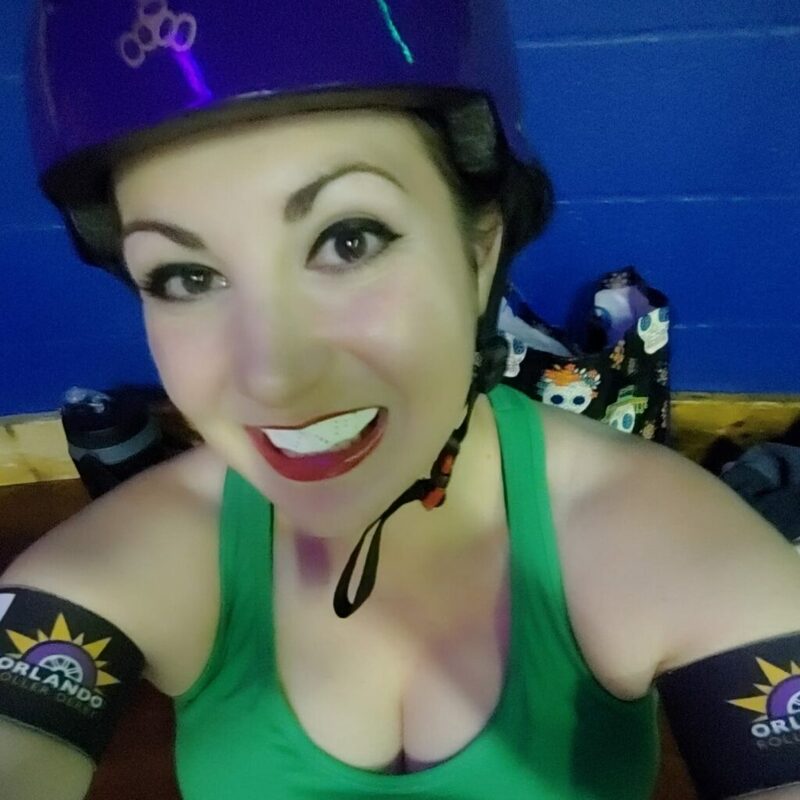 ), my derby journey helped me gain a stronger sense of self. When I put on skates, I get to become a more powerful and assertive version of me. The confidence I’ve gained through derby has translated into other aspects of my life. I feel more equipped to advocate for myself, like when I recently negotiated a promotion and raise at work. Sure, I’ve always been worth it, but pre-derby me might not have had the guts to actually ask for it. 4. A healthy outlet for my anxiety and stress. It’s no secret that exercise is an effective stress-reliever. Skating is like magic- amazing, fun, stress-killing magic. I could come home from a long, crazy day at work, wanting nothing else than to throw myself unceremoniously onto my couch and staying there until bedtime, but on a derby night I pull my skates on and as I begin to warm up, I can feel the day’s anxiety buildup begin to melt away. I could walk into practice feeling grumpy and tired, but after a few hours leave feeling relaxed, renewed, and very, very sweaty. 5. A stronger connection to our City Beautiful community. One of the biggest motivating factors in joining ORD was its dedication to community service. I was excited to be a part of an organization that cares passionately about its home. As a fairly new resident of Orlando, it meant a lot to me to become an active member of the community. 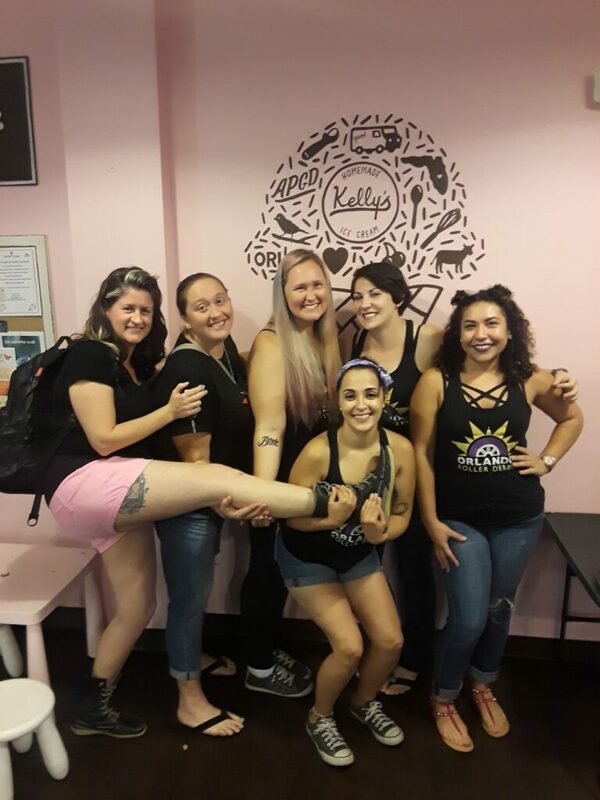 In the last year, the girls of ORD helped promote adoption and pet some gorgeous pups at the Pints for Paws event in Sanford, made cookies for a bake sale benefitting Girls Rock music camp, marched in the pride parade, killed it at some local trivia events, organized a food drive, and so much more. 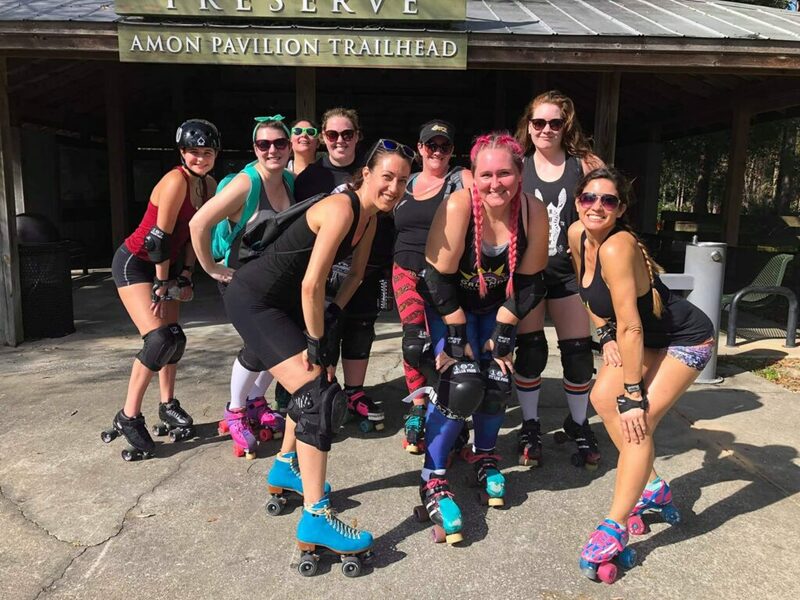 Curious how roller derby could change your life for the better? There is still time to join our next recruitment class. To get all the info and to sign up, just email recruitment@orlandoderbygirls.com. The first recruitment practice will be Wednesday, February 6, 2019 at 9pm - so email now! We’d love to roll with you. Last February, I did something crazy. My new year’s resolution the month prior had been to do something for myself, as I’d gotten into a bit of a rut. My work had largely taken over most of my time, my social life left a lot to be desired, and I was in serious need of an outlet. So, I decided I was going to do something I had always been too afraid to do before: join roller derby. Little did I know that I was giving myself so much more than a new hobby. 1. A fantastic new support system and circle of friends. Joining recruitment introduced me to a few dozen of my new best friends. It was easy to bond over learning a new skill or commiserating about our frustration over plow stops. Before I knew it, I had a whole new circle of bright, talented, strong ladies that have my back on and off the track. Curious how roller derby could change your life for the better? There is still time to join our next recruitment class. To get all the info and to sign up, just email recruitment@orlandoderbygirls.com. The first recruitment practice will be Wednesday, February 6, 2019 at 9pm – so email now! We’d love to roll with you.